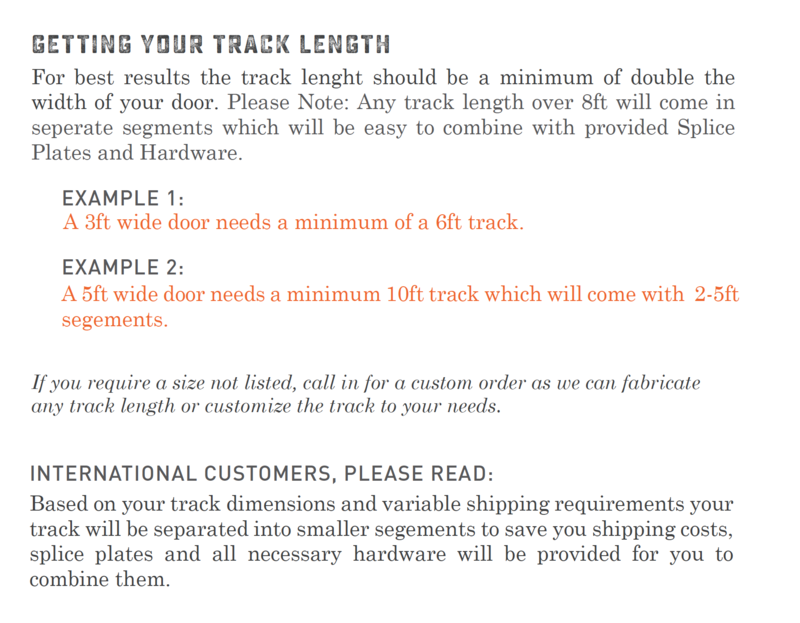 Please be advised that all hardware is subject to the individual vendor’s manufacturing and shipping times. Lead times may vary and are only estimates. A list of estimated lead times and special shipping circumstances can be found below. 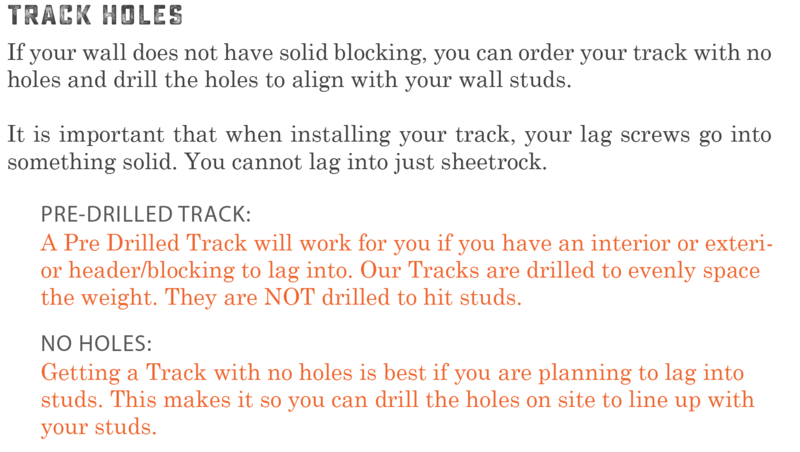 Please do not arrange for an install until you have received all correct items from your order. 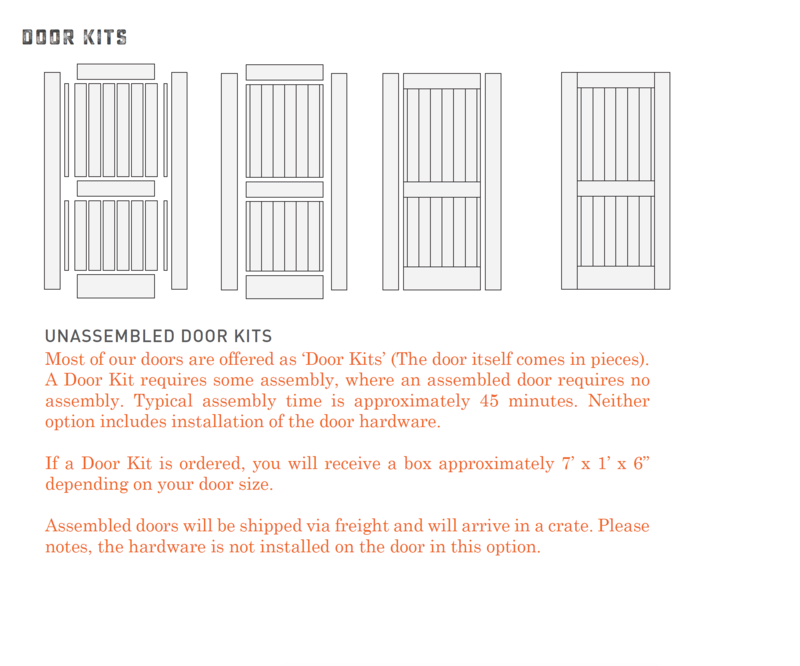 Before assembly or installation, check to see that you have instructions. If they are missing you can call Rustica Home 844-RUSTICA (844-787-8422) or email [email protected]. Rustica Home will not be responsible for any contractor expenses and/or other fees incurred outside of your transaction with Rustica Home. If a hardware is ordered from multiple vendors in the same transaction, then the lead times for the entire order may vary. In this circumstance customers should base their estimated lead time off of the longest of the vendor’s production time. 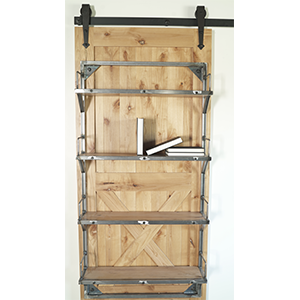 For standard orders, hardware can take an estimated 7-14 business days for manufacturing, unless otherwise indicated, and may be shipped via UPS or USPS ground. Freight shipping may be used when an order exceeds the capacity of UPS or USPS. 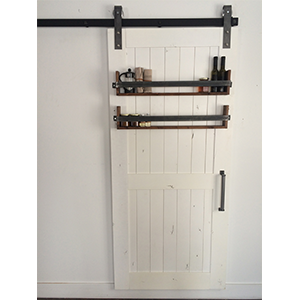 Once your hardware has been received from the vendor, it will ship via ground delivery service. If you require a production and or shipping method other than standard production and standard ground shipping service, please contact us within 24 hours of receipt of this order invoice to request expedited shipping. Shipping lead times are approximate and are not guaranteed. If your product has a defect or needs to be exchanged you must do it within 30 days of receiving your order. No returns will be accepted after 30 days or if the product has been installed. 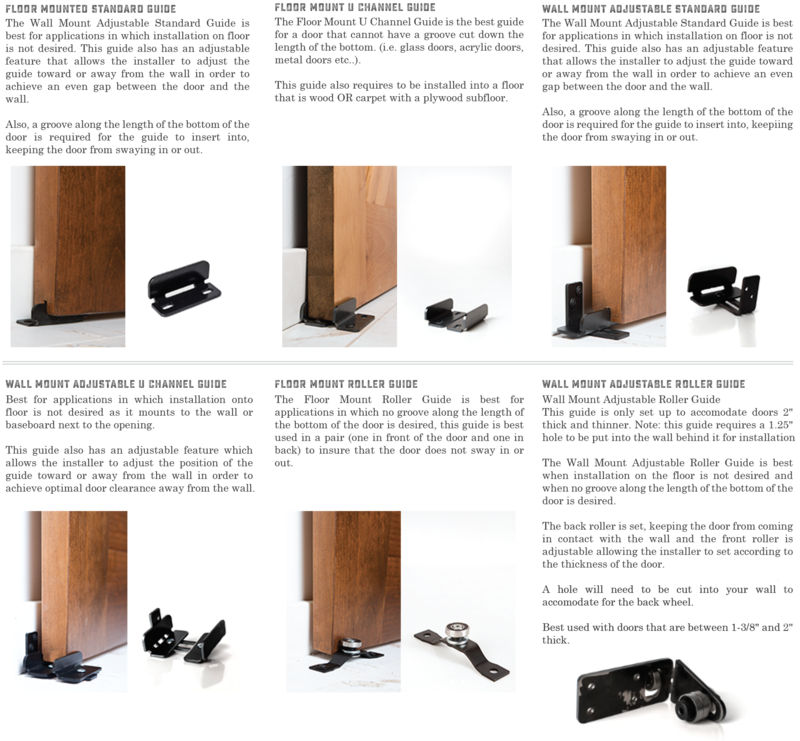 To ensure you’ve received all the correct components, please plan the installation of your product within the first 30 days of receiving your order in case you need any exchanges or additional items for installation. Make sure your shipment includes installation assembly instructions. If not, you may call Rustica Home at 844-RUSTICA Returns will be subject to a 30% restocking fee and exchanges will be subject to a 30% restocking fee. Please visit our Returns Page for our return process. Custom orders are not returnable. It is the consumer’s responsibility to understand what they are ordering when using the online system. 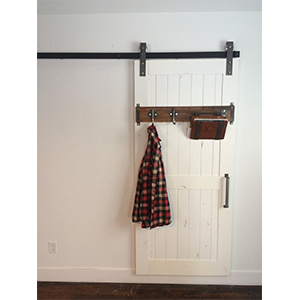 Rustica Home has provided many online photo resources and descriptions to help you during your order. Please read these descriptions carefully. If you are unsure about what your order will look like or what is included, please call Rustica Home at 1-844-787-8422 for help placing your order. All free shipping will be shipped via ground shipping. 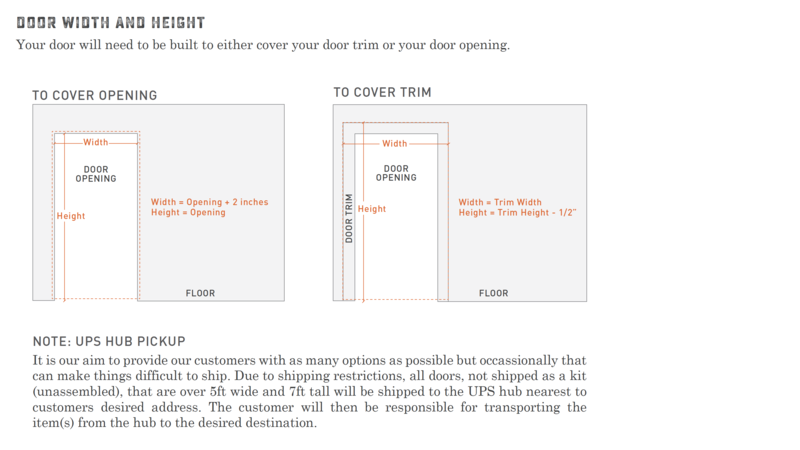 Ground shipping will deliver your product to your door or to the “curb” for freight orders. It is the consumer’s responsibility to arrange for installation and delivery beyond the curb. Please do not schedule the installation for your product until it has arrived. Expedited shipping options may be available for an additional fee. Expedited shipping may be limited due to the weight of certain products. 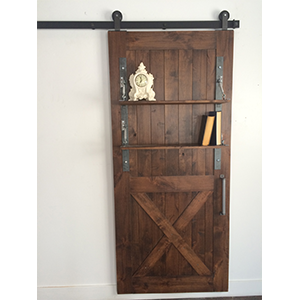 If you require expedited shipping please call Rustica Home at 1-844-787-8422 for more information. 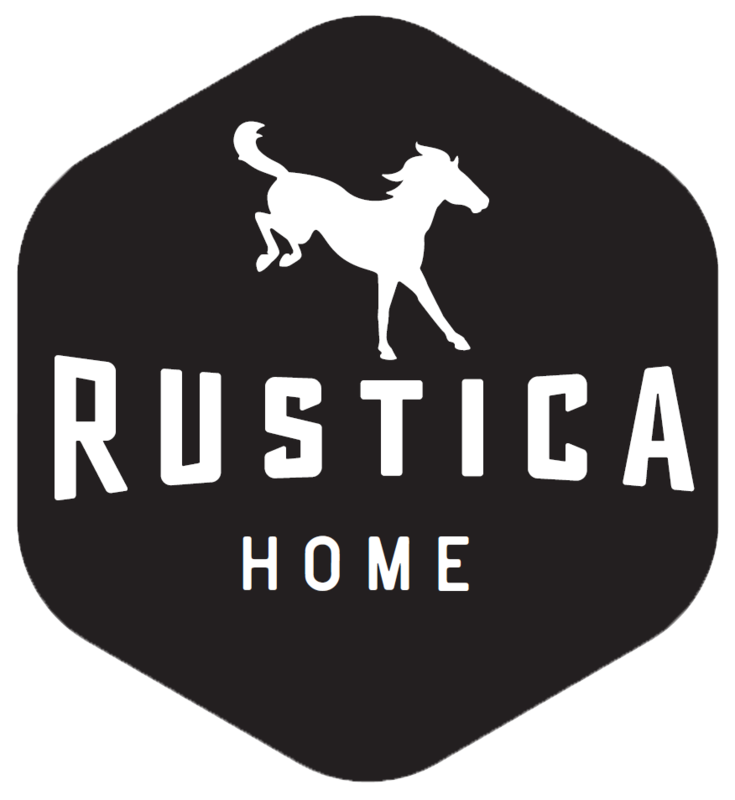 In the event that your specific product is no longer available, Rustica Home will send notification. We love to serve all of our customers across the globe. Unfortunately, we cannot offer everyone our standard free shipping for orders $75+(only applies to shipping destinations located in the continental US). For all International customers there will be an upfront charge, by us, based on what it costs us to send it to your far away land. It should also be expected, by the International customer, that duties and brokerage fees may apply at the border. Please review the charges from your local area to determine what these may entail.